Amazing villa (VII), spacious, clean, modern and comfortable. Pool was fab and the staff were fantastic, Panayiota and Maria were lovely and couldn’t do enough for us. Highly recommend! The 2 girls at the reception were both a delight to deal with . They were very helpful and always had a smile . The cave home with the grotto is amazing. The sunset view is breathtaking. The restaurant across the street, Finikia, is a MUST EAT. The front desk ladies and all the staff at 270 Oias are so helpful and friendly, they made our stay even more memorable. It’s a little way out of Oia which I was initially disappointed about but I then realised it was away from the crowds and much more private than places in Oia. Beautiful sunsets from the pool! Amazing bedrooms and bathroom!! Excellent place. Panaota at the reception is very friendly and efficient. She guided us well and booked our luxuary catamaran cruise and all our taxi travel. A huge thank you to her . Fabulous view especially the sunset from the pool. The rooms are excellent and clean. We were three couples so the villa with 4 rooms was convenient. The kitchen is well stacked with food and wine. The property is beautiful and faces the caldera and would highly recommend it. The accommodation is absolutely wonderful! We loved the luxury of the cave house and the private pool also built into the cliffside. It’s a very private, romantic, luxurious villa and the poolside terrace is the perfect place to relax and watch the sunset from. Patayiota and her team couldn’t have been more welcoming and helpful. I wouldn’t hesitate to recommend the property! Loved the "cave theme" in the apartment. Facilities were excellent and the apartment spacious and with wonderful views over the Aegean Sea and Oia. Staff were very accommodating, nothing was too much trouble. The apartments are designed to give each unit privacy. The large private pool and terrace accompanying each apartment was a real bonus. Pool is very good. can climb mountains from your backyard. Lock in a great price for 270 Oias View - rated 9.3 by recent guests. One of our top picks in Oia.Offering panoramic views of the Aegean Sea, 270 Oias View consists of self-standing villas each with a private pool. 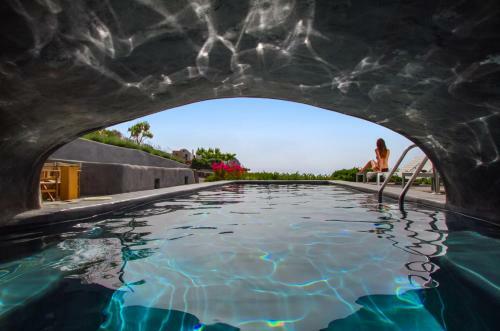 Built in respect with the local architecture, the complex is 750 yards from the scenic Oia village centre. Restaurants serving local dishes and bars can be found 50 yards away. The property lies 0.9 miles from Baxedes Beach. Athinios Port and Santorini Airport are 9.9 miles away. Free parking is possible on site. 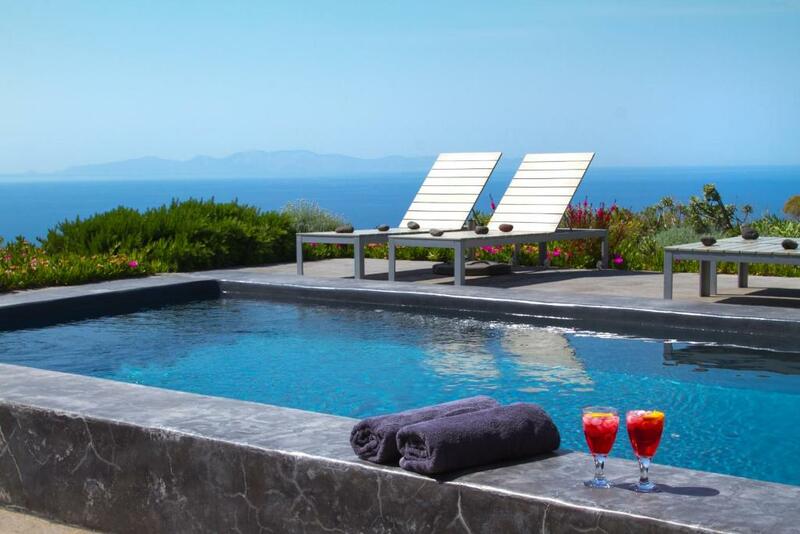 270 Oias View has been welcoming Booking.com guests since 2 Jun 2014. 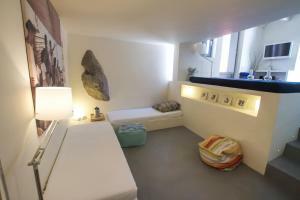 When would you like to stay at 270 Oias View? 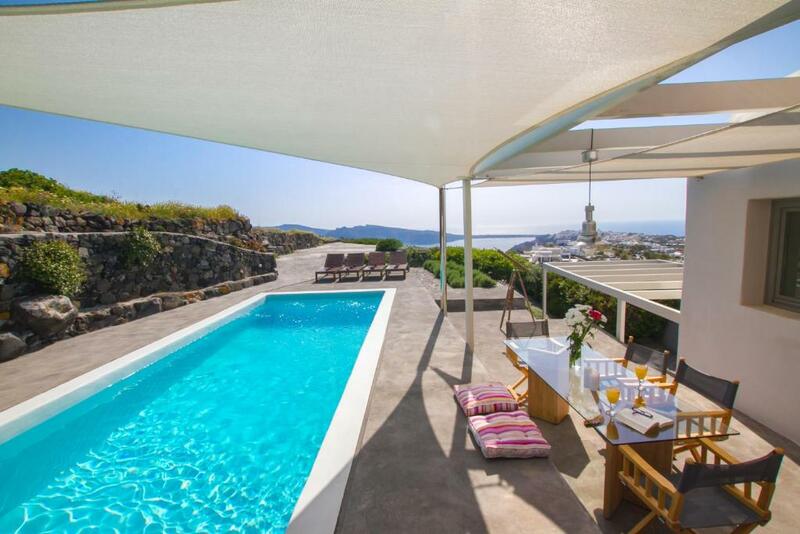 Featuring a private pool with panoramic views of the Aegean Sea, the famous sunset and Oia village, this elegantly decorated villa consists of 2 bedrooms, 3 bathrooms with hydromassage showers and a fully equipped kitchen. 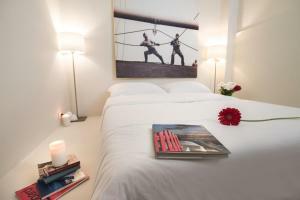 Fitted with built-in sofas, the living room has a flat-screen TV with satellite channels, DVD player and idock station. 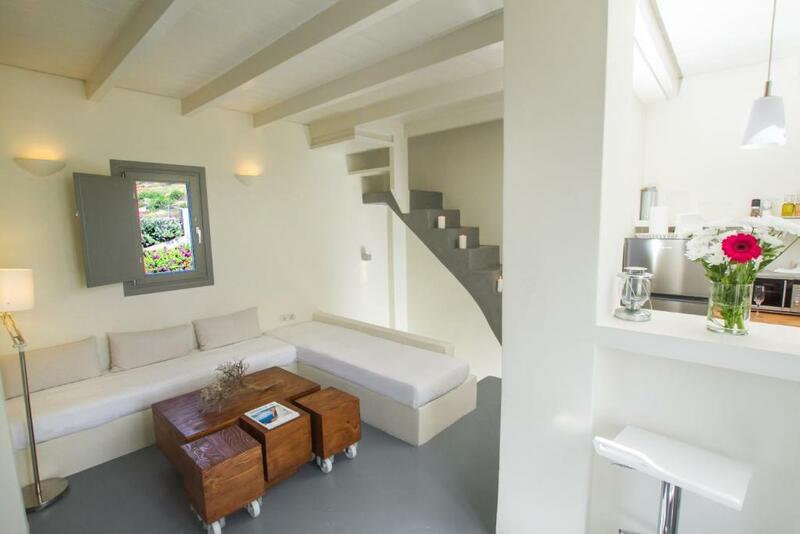 Free WiFi is provided in this split level villa. Please note that the swimming pool is not heated. Offering panoramic views of the Aegean Sea, the famous sunset and Oia village, this 3 storey villa has a private pool with sun terrace and outdoor dining area. Elegantly decorated in white tones and carefully chosen items, it has 4 bedrooms, 4 bathrooms, 2 living rooms and a fully equipped kitchen. Other facilities include a flat-screen TV, free WiFi and hydro-massage showers. 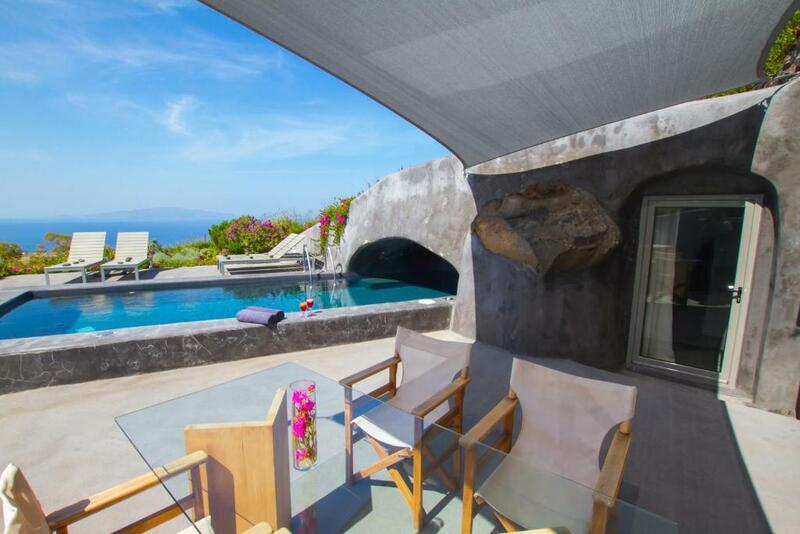 This cave-style villa has a private pool and a sun terrace, offering panoramic views of the Aegean Sea and the village of Oia. Elegantly decorated with respect to the local architecture, it consists of an open-plan bedroom with adjacent living area with built-in sofas and fully equipped kitchen. A bathroom with hydro-massage shower or spa bath and an additional bathroom with shower are included. Free WiFi is provided. The 2 storey, air-conditioned villa with minimalistic decoration has a private swimming pool with a large outdoor space featuring Aegean Sea and Oia views. It has 2 bedrooms with private bathrooms and an open space sleeping area along with an extra bathroom. A seating area as well as a spacious dining area with a fully equipped kitchen are also offered. The air-conditioned villa is a cave house with minimalistic decoration. 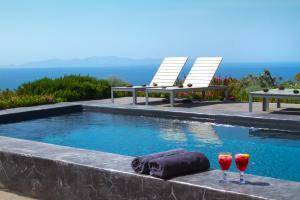 It has a private swimming pool and features Aegean Sea and Oia views. It consists of an open-plan bedroom with adjacent living area, fully equipped kitchen and a bathroom with hydro-massage shower. 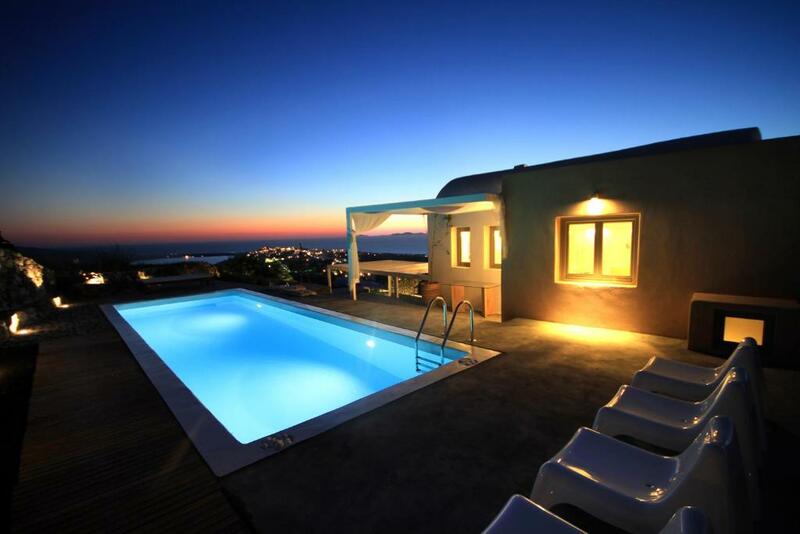 The 3-storey, air-conditioned villa has a private swimming pool with Aegean Sea, sunset and Oia views. It has a minimal decoration and consists of 4 bedrooms, 4 bathrooms, living room and a fully equipped kitchen. 270 Οia's View, designed by Emmanouil Vasilakis, architect and co-owner of the property, offers the experience of feeling like home while travelling, surrounded only by land, sky and sea. Named after the 270 degrees panoramic view that the 4 major villas offer and the magnificent view of Oia and the sunset that someone enjoys from the 3 cavehouse villas, 270 Οia's View was constructed, with extreme respect to the natural landscape and the well known Santorinian traditional bioclimatic architecture. Through the use of natural materials and bright colours, the 7 villas blend effortlessly with the unique scenery of Santorini. At 270 Οia's View, the indoor minimal aesthetic of Cycladic white and the carefuly landscaped verandas dominated by the element of the water reflecting the mediterranean sun, emphasize the values of space and privacy. For us that is the heart and soul of a travelling experience. House rules 270 Oias View takes special requests - add in the next step! 270 Oias View accepts these cards and reserves the right to temporarily hold an amount prior to arrival. Please inform 270 Oias View in advance of your expected arrival time. You can use the Special Requests box when booking, or contact the property directly with the contact details provided in your confirmation. Everything! Beautiful cave villa with private pool and very helpful and friendly staff. Most amazing and private sunset views imaginable! Expensive, but that is reflected for the whole island. The hot water was not working for our showers during our stay. The privacy that this hotel enables is amazing. The environment friendly house is so pleasant and cozy. The location is also great , 15 min walk from the center of Oias. So many good restaurants in a walking distance. Just perfect. Amazing view, big rooms with natural light, plants all around and the pampering pool. The kitchen was fully equipped with all the necessary staff including food. Mildly annoying noise from road when sat by pool but didn’t notice it after a while. The staircases could be made much safer if they had railings to hang on to. We loved the spacious 4 bedroom, 4 bathroom villa. My husband and I and our six adult children stayed together comfortably. We thoroughly enjoyed the pool, the view of Oia and, of course, the famous Santorini sunsets. We loved the proximity to downtown Oia and nearby restaurants and also a small market. Absolutely nothing. It couldn’t be better !